SPC 107682/BSM100 barrier spill matting is needle-punched polypropylene fibers and non-stick backing prevents fluids from penetrating through to the floor. 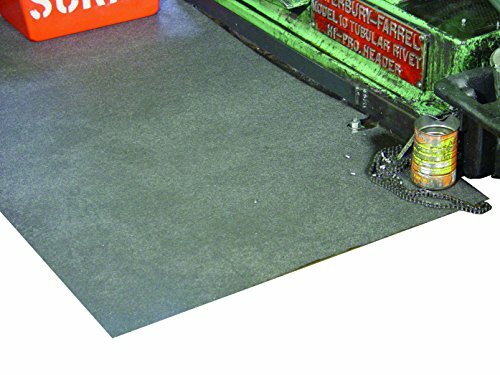 Barrier spill matting features are industrial rug made from needle-punched polypropylene, non-slip backing sticks to the floor and prevents fluids from leaking through to the floor. Applications is walkways, overspray leaks and drips, workstations, drums - liquid storage, outfalls and discharge ponds. Class is universal, configuration is roll, size is 36" width, 100' length roll, shipping weight 24 lbs. If you have any questions about this product by Sorbent Products Company, contact us by completing and submitting the form below. If you are looking for a specif part number, please include it with your message.